Sydney | So Many Exciting and Beautiful Places! Flew into Sydney, Australia today. Happy to say it was uneventful. We checked into the Sofitel Hotel, and had a light dinner in the hotel. We’ll be here 3 nights, and it’s nice to be able to settle in for a few days. 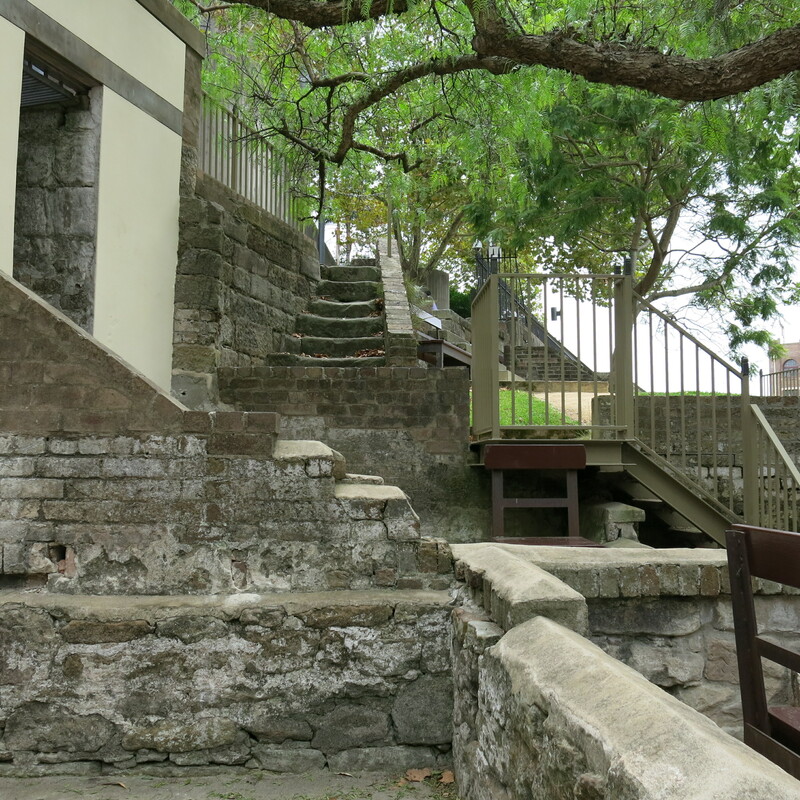 We took a walking tour of the Rocks area of Sydney this morning. Very interesting. This is the area of the earlier settlements in Sydney. Much of the building in the area was done in the 1800’s by convict labor. Residences were built into the rock. They were very small. The architect, Francis Greenway, for many of the government buildings was actually a convict, who had been sent to Australia for forgery. His face later graced the previous 10 dollar note, which was the currency most forged in Australia – ironic! The buildings were constructed with sandstone. Each individual worker had his own pattern of cutting or marking the blocks. A supervisor could tell who did the work by the pattern used in the block. The residences were very small, a couple of rooms cut into the rock cliffs. The mortar included shells and rice. 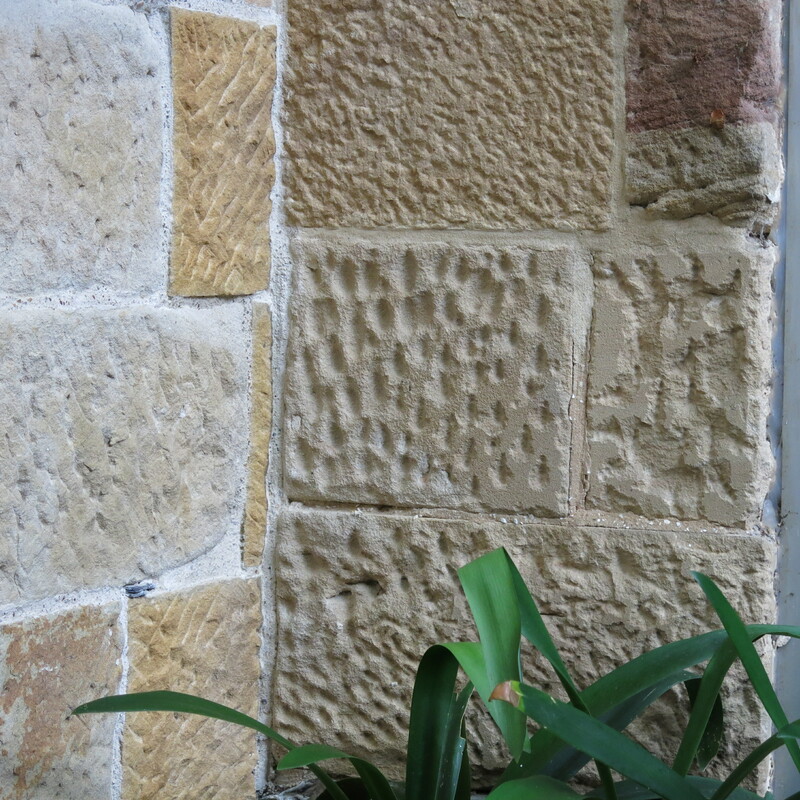 The shells took the place of lime, and the rice absorbed the moisture that was always seeping through the sandstone. 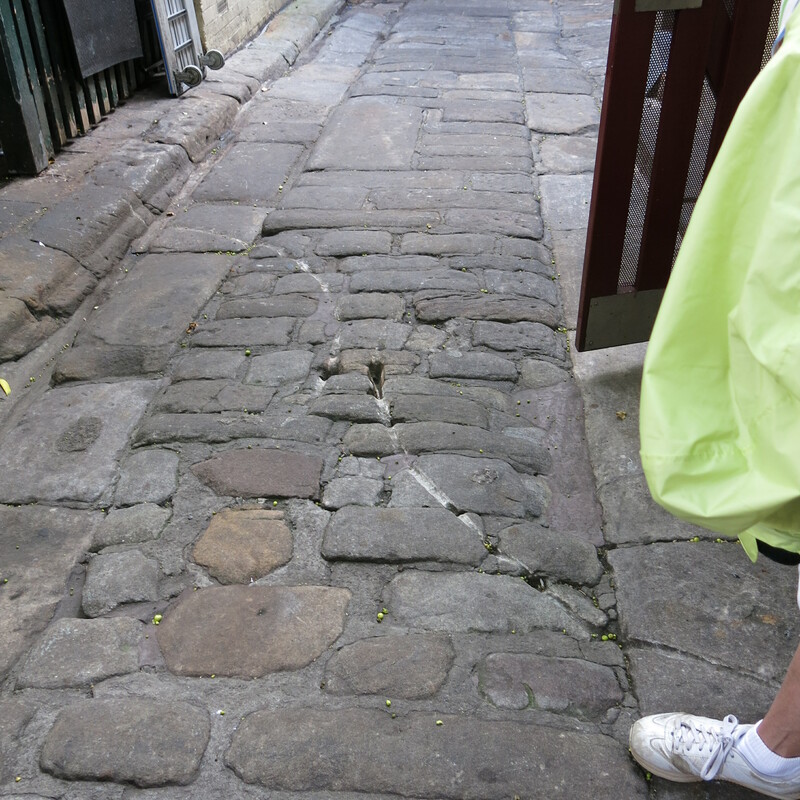 There are a few cobblestone streets left in the area, made of sandstone. Because this is a soft rock, you can see the carriage tracks in them. The entire Rocks area is owned by the government, in order to preserve the history. You can purchase a 99 year lease for property, but you cannot own it. In the afternoon, we took a bus tour of the city, again hearing about the history, and seeing some other areas. 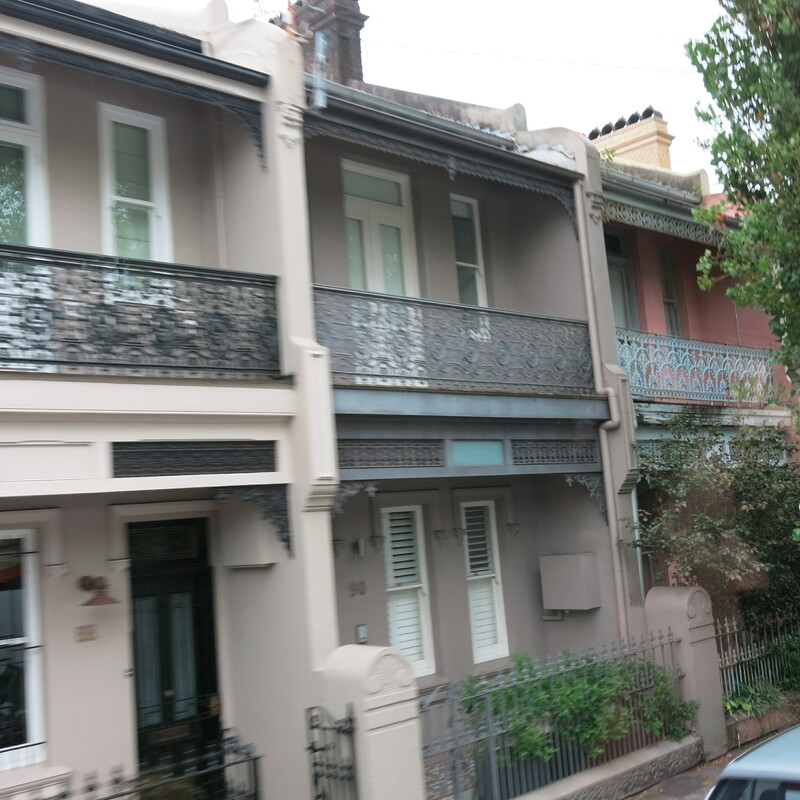 Many homes have wrought iron railings. When the early ships were coming from England, they used iron for ballast in the ships. They left this iron in Australia because they were full with the products they were returning to England. Someone had the bright idea to melt down the iron and use it for decoration of the residences. 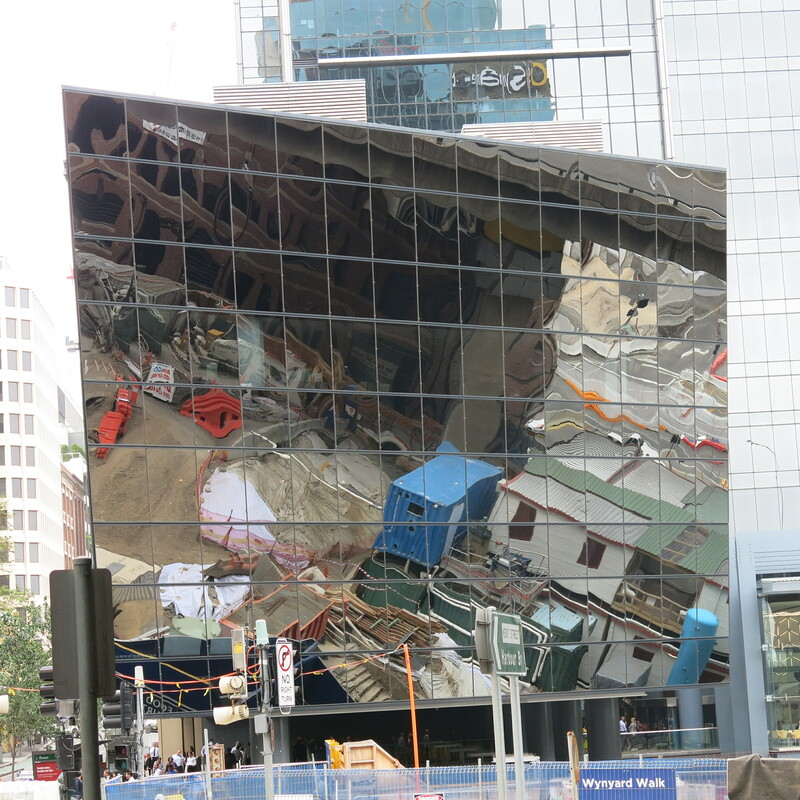 Reflection of construction project in wall of building next door. 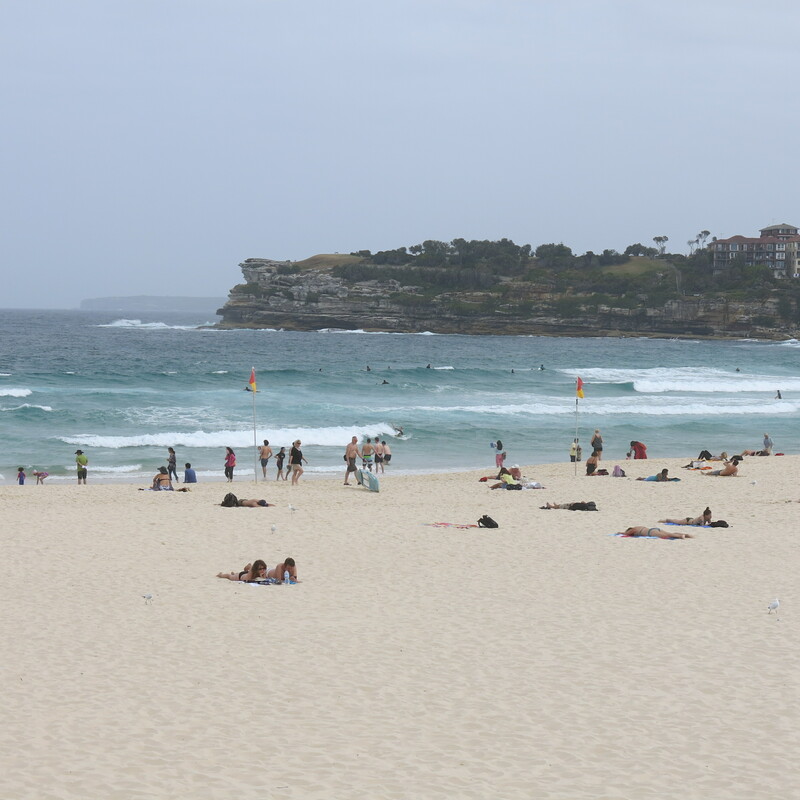 We stopped at Bondi Beach for a while. There are over two dozen beaches in Sydney, and this is the closest one to the downtown area. It’s pretty large, and quite busy. We did note a surfing class going out. The waves were certainly high enough for surfing. Tonight, we went to Jamie’s Italian Restaurant, just a few blocks from our hotel. This is a James Oliver restaurant, and is very popular. The place was very busy and noisy – we managed to arrive early enough that we only had to wait about 30 minutes for a table. It was worth the wait. This entry was posted in Australia Travel and tagged Australia. Bookmark the permalink.